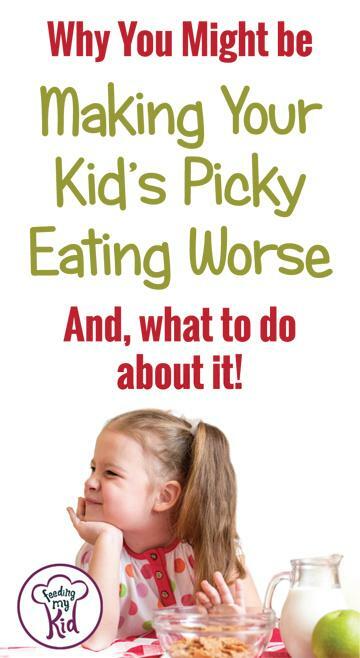 I’m doing everything I can to feed my kids… and I might be making their picky eating worse!?! Urg! If my own twins came out of the gate being great eaters, I probably would have never started Feeding My Kid. I couldn’t understand why so many of my friend’s children ate everything and why mine wouldn’t touch most food. I didn’t understand why my kids would put a dirty shoe in their mouth, but wouldn’t touch a grape or blueberry. I used to try to put strawberries on the floor to see if my kids would eat them, nope, but a shoe, sure. We saw an Occupational Therapist that ruled out any sensory issues. My heart goes out to all the Mamas with kids with Autism and Sensory issues. It’s hard! I went to a picky eating class and heard a mom say her 4-year-old only drinks smoothies, while another mom told how she runs around the house chasing her kid to take another bite of food. I knew I didn’t want to go down this path and I needed to get serious about my own children’s eating. Around that time, the Occupational Therapist also told me it only gets harder and harder to change their habits. It’s not impossible- just harder. I couldn’t imagine it getting any harder than what I was already dealing with. I felt like I was in a nightmare. No one told me how hard it would be to get my kids to eat and eat healthy. The more I researched the more I learned that a child’s relationship with food has a lot to do with our parenting style, the parent’s relationship with food, how we talk about food in the home, model eating, etc. I’ll break it down more below. 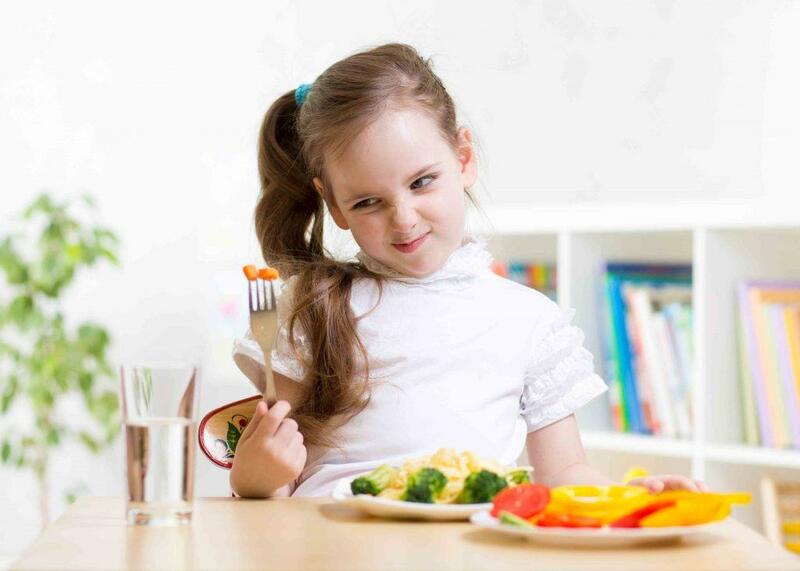 Don’t label yourself or your little one as a bad eater, picky eater, fussy eater, etc. People live up or down to their labels. Give kids healthy mealtime options that the whole family is eating. Do NOT allow yourself to become a short order cook. I’ve caught myself doing this. All of your kids must eat what you made them. I’ve found it is a good idea to offer a few different sides to ensure that the kids have a choice between a few different healthy options. This ensures you have at least one safe item on the table. They can have their genuine dislikes of food and that’s ok because I provided them with a few options. For example, I will make cauliflower casserole and green beans with bacon. They have two great options to choose from, plus, the main course. My kids are obsessed with peas and they only take a few minutes to make. If I know they are not in love with the rest of the meal, I’ll serve it with some peas as their safe food. Kids have small stomachs so make the calories count. Don’t let them fill up on filler foods like crackers, pretzels, and pasta, which don’t add a lot of nutritional value, but are filling. On the other hand, don’t get so hung up on every calorie or if they are eating from all the food groups at every meal. 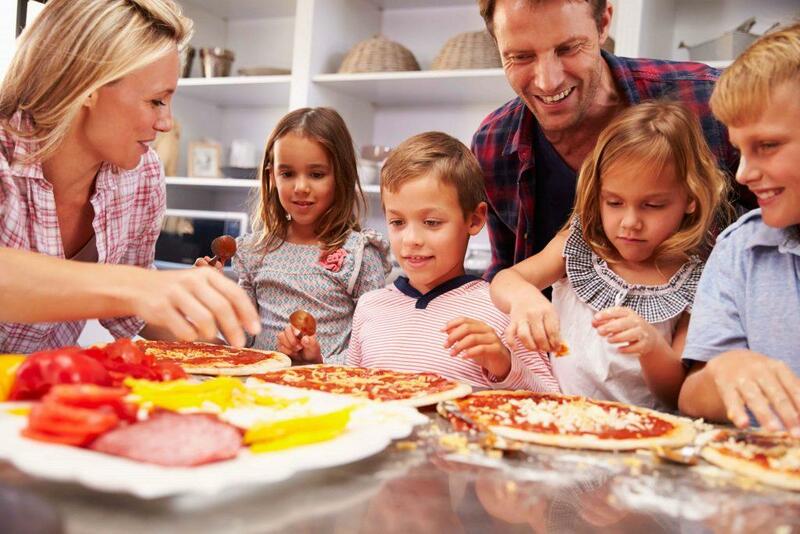 It can make you crazy and studies show that overall kids don’t eat as well when the parents are too focused on hitting the food groups at each meal. Researchers show that it all evens out throughout a 30-day cycle and that is completely healthy. It’s your job to provide nutritious and yummy food and it’s your child’s job to eat as much as their bodies need to grow. This is so important. Once you put the healthy food on the table, your job is done. Relax. 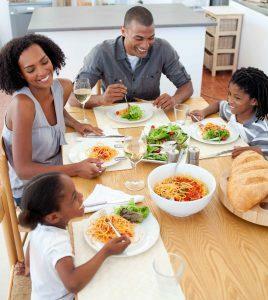 Enjoy a pleasant conversation with your kids and don’t focus on what he or she is eating. Your job is done. This teaches children to self-regulate, which is a life-long skill! Eating too much is also not a good thing with kids. If they don’t eat, DO NOT let them snack afterward. It just reinforces they do not need to eat their meal because they will get a snack later. Find out why it’s important for a child to get hungry before a meal. You’ll need to gauge this one based on the age of your children and their communication abilities. Generally, around three years old, children can better understand natural consequences. And, yes, it’s ok if your kids are a little hungry. We are not talking about neglect, just the natural consequence of not eating the meal you prepared for them. Typically, if children have a small breakfast or lunch they’ll probably make up for it at dinner time, but not if you fill them up with snacks. 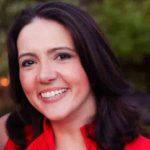 Changing your feeding habits is like anything else with kids, hard at first. Think of when you first brought your newborn home and how hard that was or if you’ve potty trained, then you know how hard that was too. I know this list can seem overwhelming. Start by checking one off at a time. Once you start building new eating habits with the family, it will get much, much easier to roll to conquer the next one. You are doing it for the long-term success of your family. You are helping to make mealtimes more enjoyable for your whole family and feed your kids more nutritiously. All this can help them develop a healthy relationship with food and build nutritious and healthy habits to last a lifetime. Do you agree, disagree or have other suggestions? Previous articleYou Might be Creating an Overeater and Not Even Know It. Next articleShould You Be Hiding Veggies in Muffins, Pizzas and Smoothies?